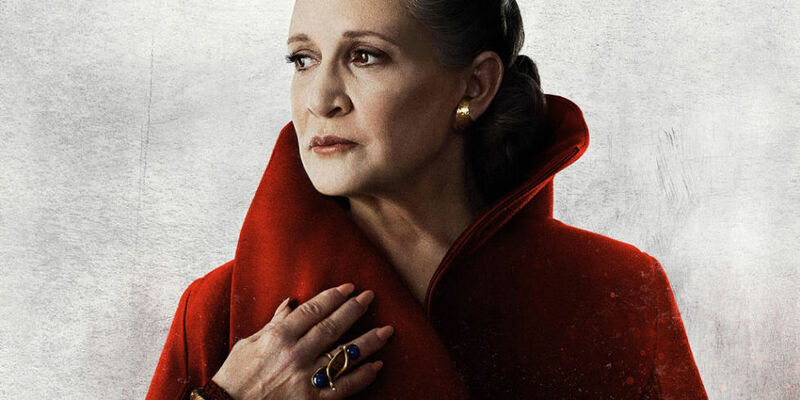 Ever since Carrie Fisher passed away in December 2016, there have been many rumors and fan debates over how her character Leia Organa would be addressed in Episode IX. Her scenes in The Last Jedi had already been filmed before passed, so Rian Johnson and the studio were able to leave her scenes intact without altering any of the plot. ”First of all, I don’t know what the specific plans were for that character but just the way Han Solo was more prominent in Episode VII, Luke more prominent in VIII, we assumed Leia would be more prominent in IX, especially since the dynamic of having Kylo Ren as her son. I think it would be tough recasting Carrie because she is so indelibly linked to that character. Many fans are going to have a hard time accepting another actress assuming the role of Leia after Fisher had portrayed he in five films. But a fan petition asking for Meryl Streep to take over the role has garnered some attention, gaining more than 10,000 signatures since it was started this month. The Last Jedi was written and directed by Rian Johnson and stars Mark Hamill (Luke Skywalker), Carrie Fisher (Leia Organa), Adam Driver (Kylo Ren), Daisy Ridley (Rey), John Boyega (Finn), Oscar Isaac (Poe Dameron), Lupita Nyong’o (Maz Kanata), Domhnall Gleeson (General Hux), Anthony Daniels (C-3PO), Gwendoline Christie (Captain Phasma), Billie Lourd (Lieutenant Connix), Andy Serkis (Supreme Leader Snoke), Peter Mayhew and Joonas Suotamo (Chewbacca), Tim Rose (Admiral Ackbar), Mike Quinn (Nien Nunb) and Warwick Davis, Jimmy Vee (Pan) as R2-D2, Kelly Marie Tran (Ladies Like Us) as Rose, Benicio Del Toro (Guardians of the Galaxy) as DJ and Laura Dern (Jurassic Park) as Vice Admiral Holdo. Check out the rest of the art below.